The Aussie Grit range of off-road bike shorts, jerseys, gilets and jackets is the brainchild of Australian F1 driver Mark Webber, who has always held a passion for mountain biking and high-level design. 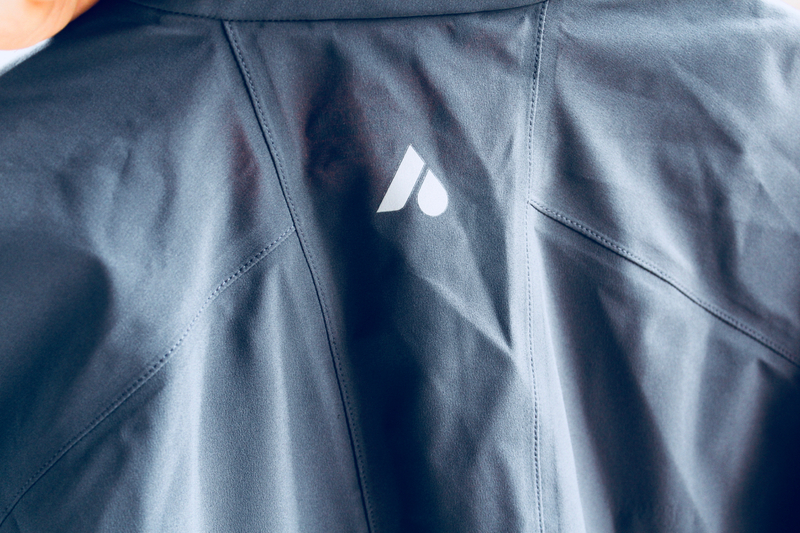 It is premium quality apparel, created to excel at providing both comfort and performance out on the trails. 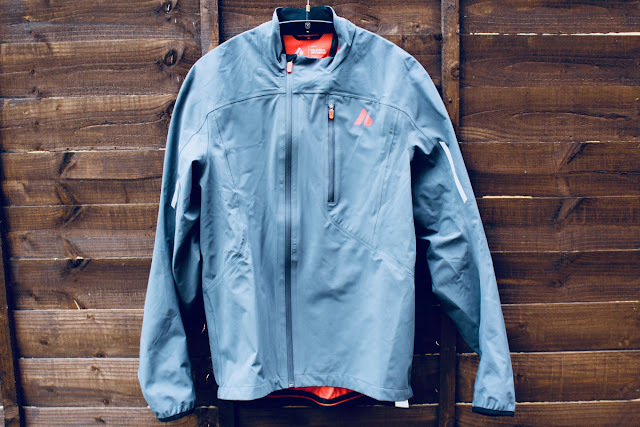 I have been testing out three clothing pieces from the Aussie Grit range: the Flint Thermal Bike Gilet, the Flint Bike Shell Jacket, and the Flint Men's Bike Shorts. Despite the time of year, and that two of these garments are foul/cold weather kit, I have managed to get a decent bit of time in the saddle wearing them, and I have been impressed by the quality and design. The shorts are a two-piece construction: with an inner liner short featuring an Elastic Interface seat pad, and an outer lightweight stretch fabric that provides protection and durability. 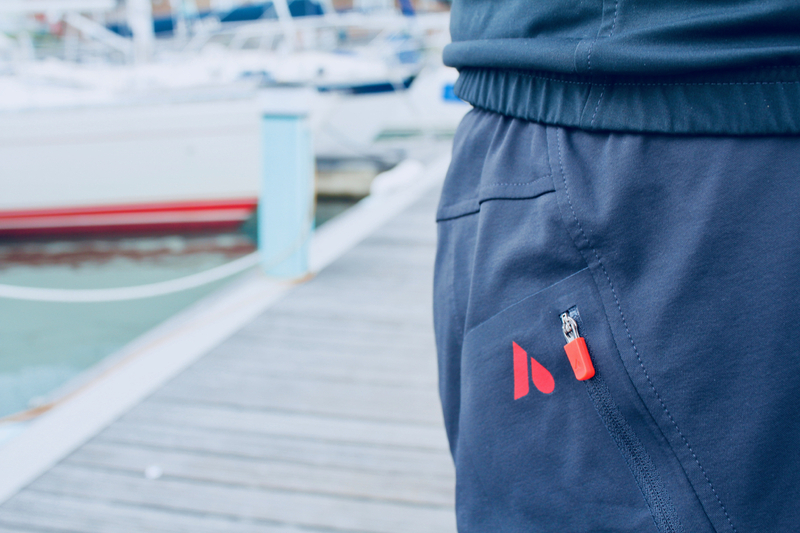 The highlight of the shorts is the 'Anchor' waistband, which holds the inner and outer shorts together, and can be adjusted with a locking elastic draw cord. The single waistband keeps the two pieces perfectly aligned but without the bulk of a double waistband that you would get if you were to wear separate inners and outers. The design means that the waistband is a lot less noticeable, and a lot more comfortable when in the riding position. The Elastic Interface pad on the Flint's inner short is an impressive find. Normally the liner shorts in mountain bike baggies have a cheap and poor quality pad, but the Italian brand E.I. produces many of the best pads in the world, and this one has certainly provided comfort on long off-road rides. 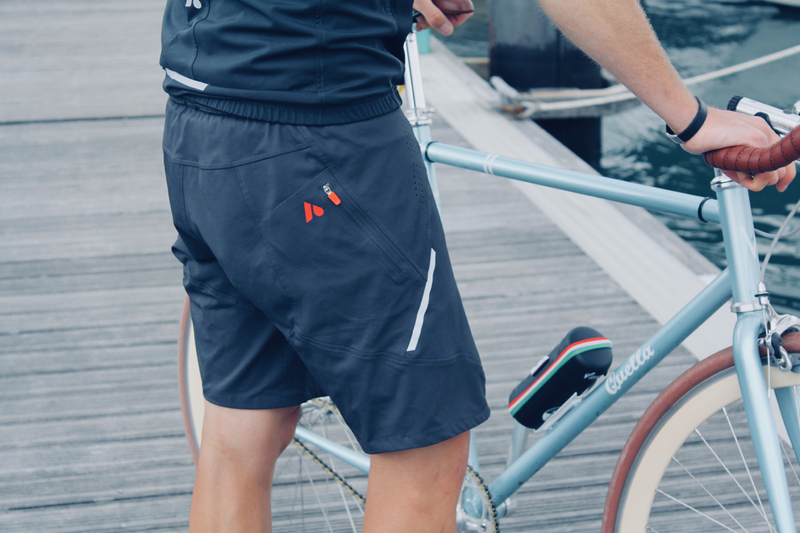 Other neat features on the Aussie Grit Flint Shorts include a zippered phone pocket that has been angled to avoid it becoming a nuisance when pedalling. 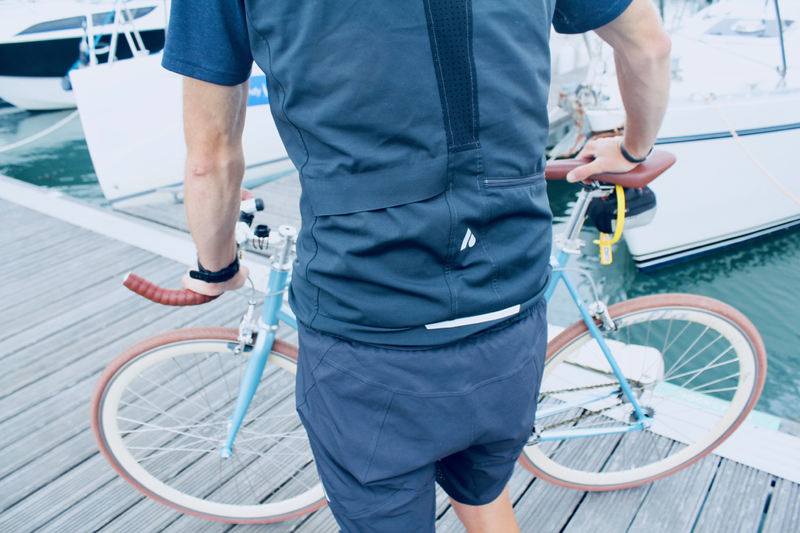 Then laser-cut ventilation holes in the outer shorts are also surprisingly effective at allowing heat to dissipate when cycling in hot conditions. Overall, these are one of the best examples of a pair of off-road bike 'baggies' that I have come across. 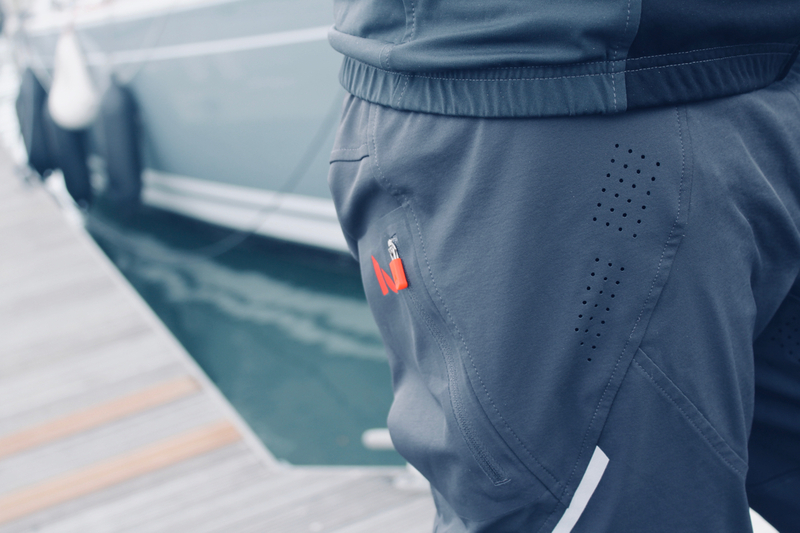 They are exceptionally comfortable thanks to the lightweight stretch fabrics and unique combined waistband. In addition, the liner shorts are better padded than the majority on the market, and the fabrics are lasting very well with continued washing and wear. 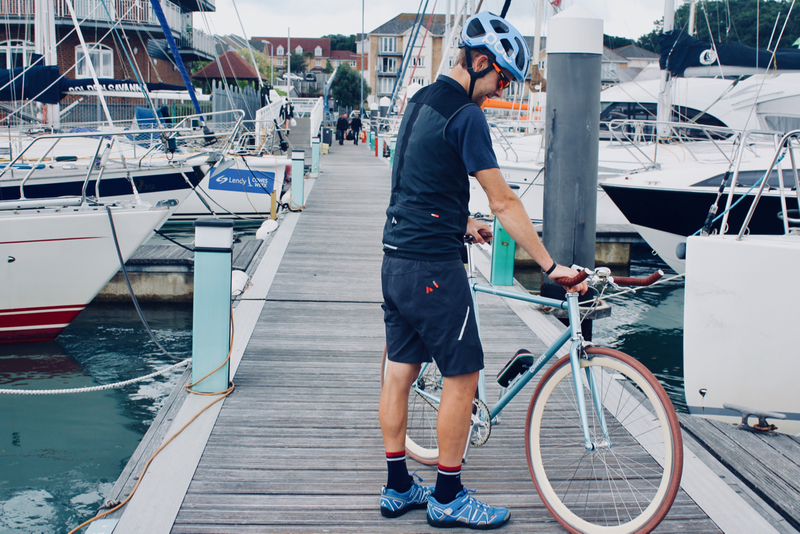 A gilet is a super useful piece of cycling kit. It can keep you warm on a descent, protect your core from spray and wind chill, and then it can be easily stowed when no longer required. The Aussie Grit Flint Thermal Gilet has a unique and well-considered design, which has proven to be great for early morning rides and late evening relaxing. 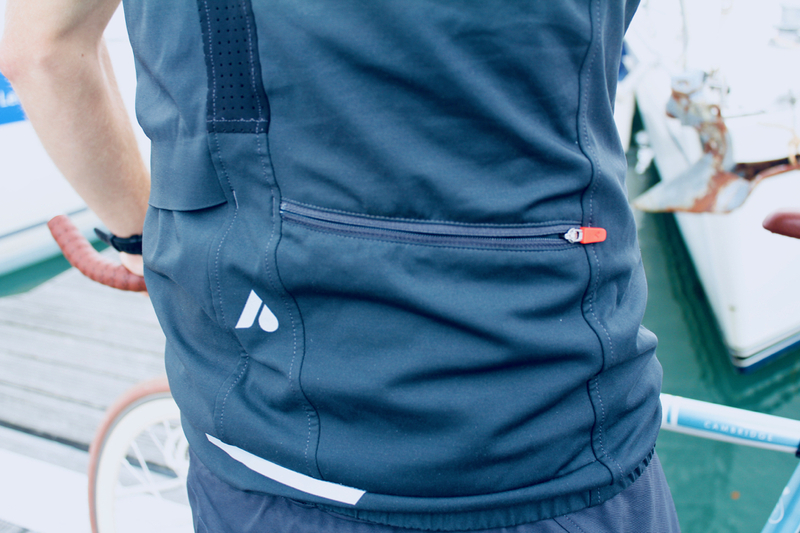 The Flint Gilet is made from a multitude of fabrics; helping to create a layer that is both protective and breathable. A soft-shell windproof and water-resistant material is used on the shoulders and front panel, and a soft brushed lining provides thermal insulation. 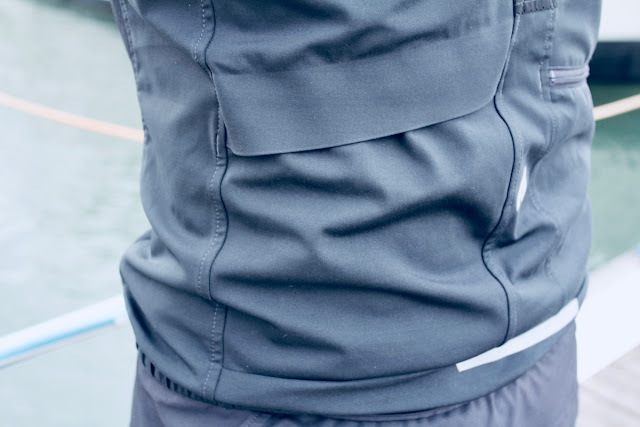 To allow unwanted heat and perspiration to escape, the gilet uses a perforated fabric on the back panel. This clever combination of fabrics is highly effective at reaching that balance of protection and breathability. The great thing about cycling gilets and wind vests is that they don't feel as weighty or restrictive as a full-length jacket. The four-way stretch material and ergonomic cut of the Aussie Grit Flint Gilet certainly helps with that too. 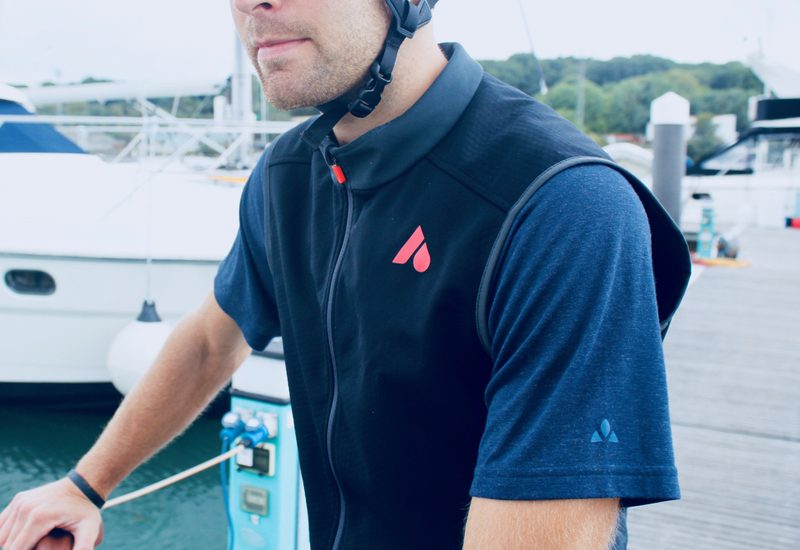 This layer feels protective yet unrestrictive when riding. Frequent Life In The Saddle readers will know that I am a bit of a pocket geek, and the Flint Gilet satisfies in this respect as well. Two pockets made from four-way stretch material help to provide storage for riding essentials. One of these has a cover flap, to provide added security but still with easy access. 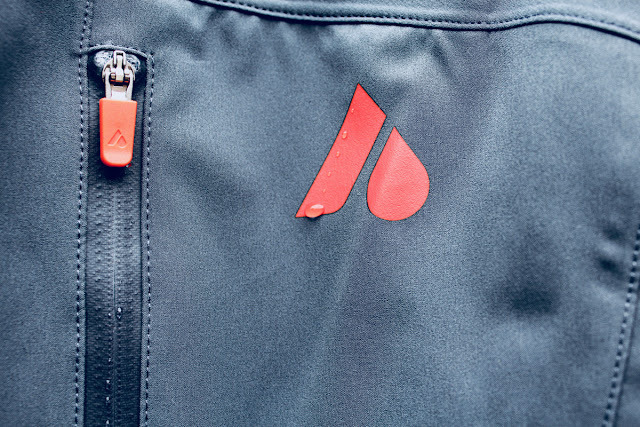 The second has a locking zipper, which makes it great for small valuables and essentials. I can sum things up by saying that the Aussie Grit Flint Gilet has become one of my go-to pieces of apparel, both on and off the bike. For early morning rides it is perfect to provide added insulation. I have also started using the Flint Gilet as my frequent 'travel jacket'; as for summer trips it is a great insulating layer to wear in the evenings, and ideal for carrying travel essentials in its pockets. This is an innovative and very well made piece of kit. The jacket is made from a three-layer soft-shell material with taped seams, providing a waterproof and breathable protective layer. 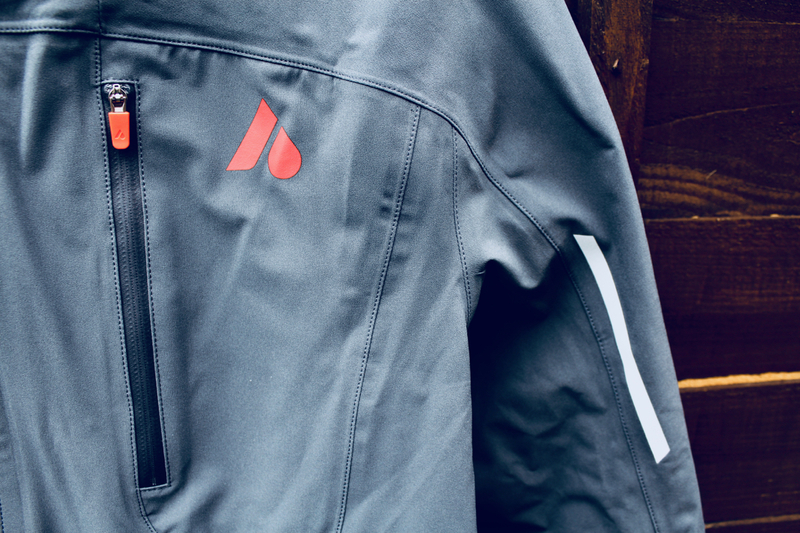 A waterproof zipper, long rear tail, and a high neckline help to seal out the elements, while the silicone hem gripper and elasticated cuffs keep the jacket firmly in place. 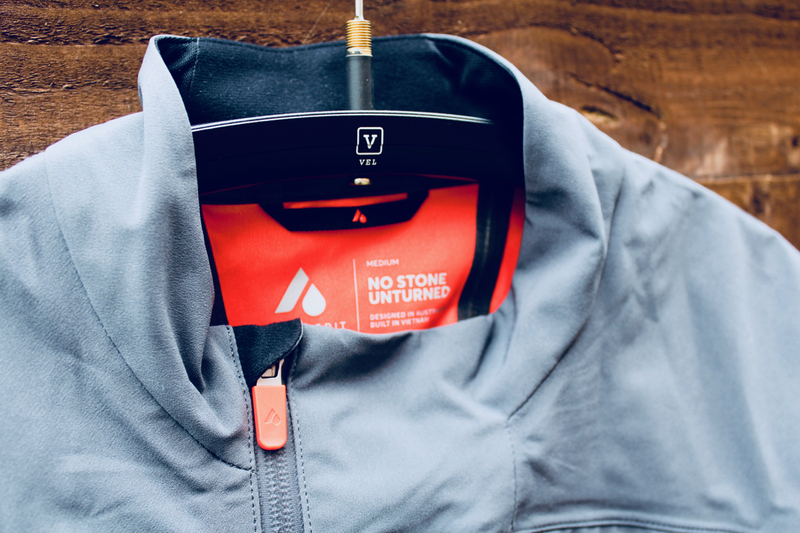 This jacket holds all the necessary attributes of an all-weather waterproof. The focus of the Aussie Grit Flint Shell is on freedom of movement and all-day comfort. This is achieved effectively through its pre-contoured shape, and the stretch found within the fabric; both of these allow for a close fit, without the feeling of being restrictive. Out on the trails, and for everyday use I have found the Flint Shell Jacket to be an impressively versatile piece of kit. 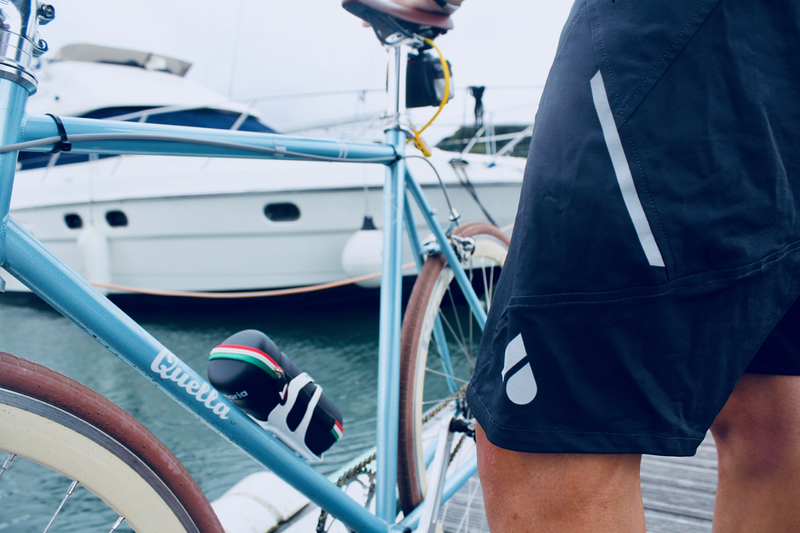 The fabric feels robust, and sheds water consistently; yet it seems to breathe well, making it a good companion for wet summer rides. 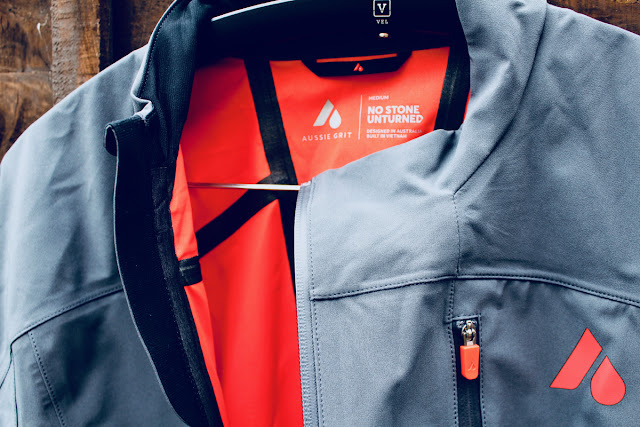 Admittedly, the fabric isn't quite as breathable as the market-leading offering from Gore-Tex, but then that fabric is feather-weight, and the heavier weight of the Aussie Grit material is ideal for rough off-road riding, and when you require a little bit of added insulation. If you are looking for a reliable, well-fitted waterproof riding jacket that will go the distance, then the Aussie Grit Flint Bike Jacket is one of the best that I have tested. It will keep you riding through the rough stuff. All three of the Aussie Grit pieces have demonstrated themselves to be clever in their design, and exceptional in their build quality. 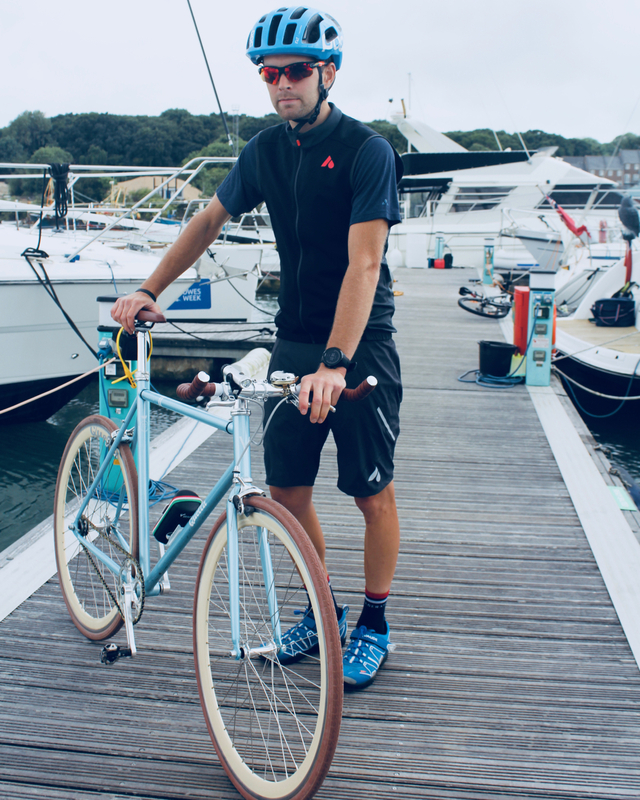 Much like an F1 driver needs to understand the intricacies of a Formula 1 car, it seems that Mark Webber understands the requirements for performance riding apparel; he has produced something unique and special with this range.